BARTLETT COVE, AK, 6PM AKDT - The National Park Service (NPS) received a relayed radio call from the cruise ship Island Princess at 1pm today reporting an aircraft down in front of the Grand Pacific Glacier at the head of Glacier Bay’s Tarr Inlet. Park rangers responded to the scene and contacted the uninjured pilot, Thorsten Kampe of Germany. Mr. Kampe reported landing due to an apparent engine malfunction. The nose of the plane subsequently buried, breaking the propeller as he taxied through soft sand. The pilot is being transported onboard an NPS vessel to Bartlett Cove. Temsco helicopters plans to salvage the aircraft. The National Transportation Safety Board, United States Coast Guard, and Alaska State Troopers have been informed. 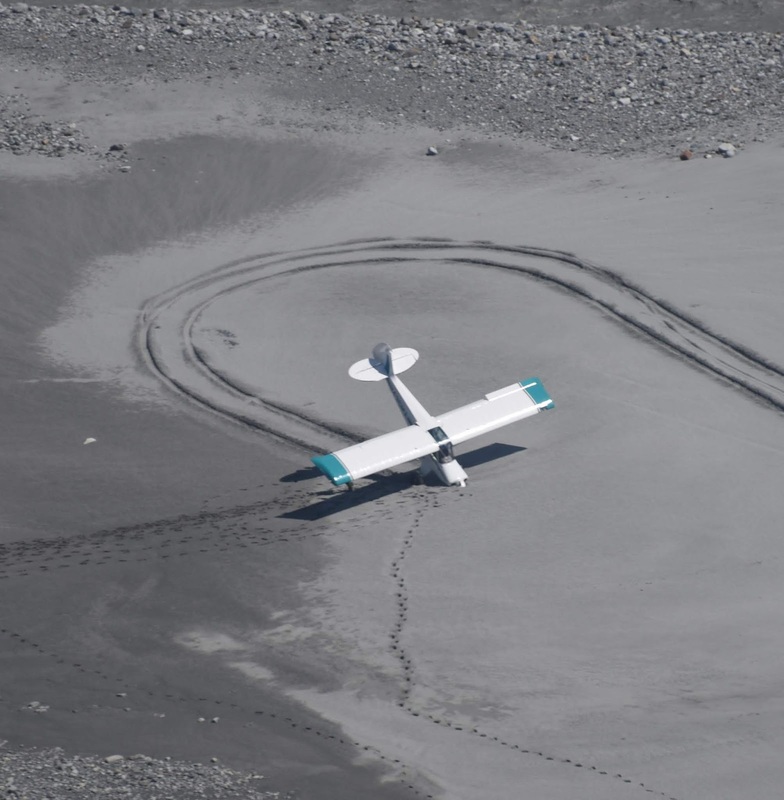 A small plane nosed over into sand after landing due to engine problems near Southeast Alaska's Grand Pacific Glacier on Friday, July 20, 2018. A second pilot has been rescued from an aircraft accident this week in Southeast Alaska’s Glacier Bay National Park and Preserve. Park officials received word of a Friday incident at about 1 p.m., in front of the Grand Pacific Glacier near the head of Glacier Bay’s Tarr Inlet, via a radio call relayed by the cruise ship Island Princess. Responding rangers spoke with the pilot, Thorsten Kampe of Germany. A National Park Service boat took Kampe, who was unhurt, to Bartlett Cove. Plans were being made Friday to salvage the small plane using a helicopter. A Wednesday crash west of Gustavus, in which a plane flipped into the park’s Crillon Lake, left a 34-year-old pilot with “minimal injuries” according to park staff. A U.S. Coast Guard helicopter crew picked the man up, after he swam to shore and started a fire while he awaited rescue.